I've been a bit quiet on my blog this week and it's been strange not posting every day / every other day, but it's just been one of 'those' weeks and I needed to take a brief, impromptu break. I posted about the March challenge from Center Parcs and I was also a guest blogger over at Bump to Baby for the lovely Alex whilst she's settling into her new home, sharing my tips on making the most of your time when you're a working mum - did you have a read? I just haven't had the time to do very much else. I have a big campaign at work that launches soon so I have been clocking up the miles in my car, I've had a friend come to stay and of course I've had Ethan to look after, and he's been a little sick and restless this week. I'm calling today Frazzled Friday as I am very much looking forward to the weekend! My week started with a mini breakdown on my part; nothing serious had happened, but I just had one of 'those' days when a few little things added up and I felt a bit sorry for myself. From slamming my fingers in the front door to cleaning carpets after Ethan had been sick, Monday wasn't a lot of fun for me. 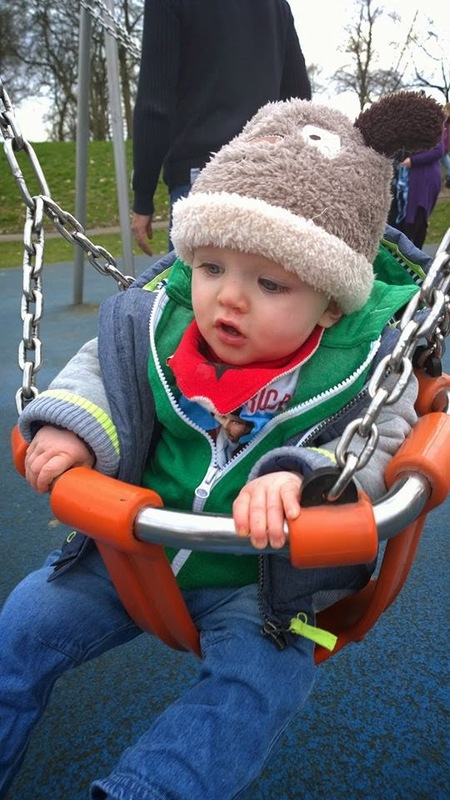 Having hubs working away during the week can sometimes be too much and I have pangs of working mum guilt too, where I feel I'm rushing around, not getting things done and not spending enough time with Ethan. My week and my mood improved considerably when one of my best friends, Bex, came to stay. She arrived late on Tuesday night and we spent two days together, chatting, shopping, playing with Ethan, eating and chatting some more. 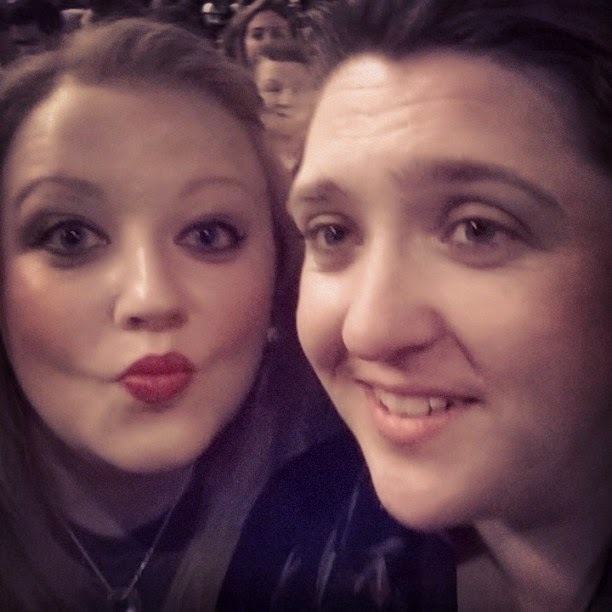 Oh, and we also went to see Backstreet Boys on Wednesday night. Yep, I am a self confessed BSB super fan and proud of it! We've been to see them many, many times but they were the best I've ever seen them on Wednesday and we had such a fun time. I was so glad when Ste came home last night and I had the first good night's sleep in a while as Ethan managed to not be sick and slept through, which was a fantastic early Mother's Day present (thank you little man). I'm finishing early for the weekend too so things are definitely looking up. Ethan's nursery is having an afternoon tea and crafts session for mums today which I am really looking forward to. I have no idea what I am doing for the real deal, but I understand that Ethan has been busy making plans with his Daddy and I am so looking forward to spending this special day with my special boys, big and small. Ethan's talents as a painter are limited, being 10 and a half months and all, but that doesn't matter to me - I'm already displaying his works of art and other bits and pieces accumulated from his days at nursery. 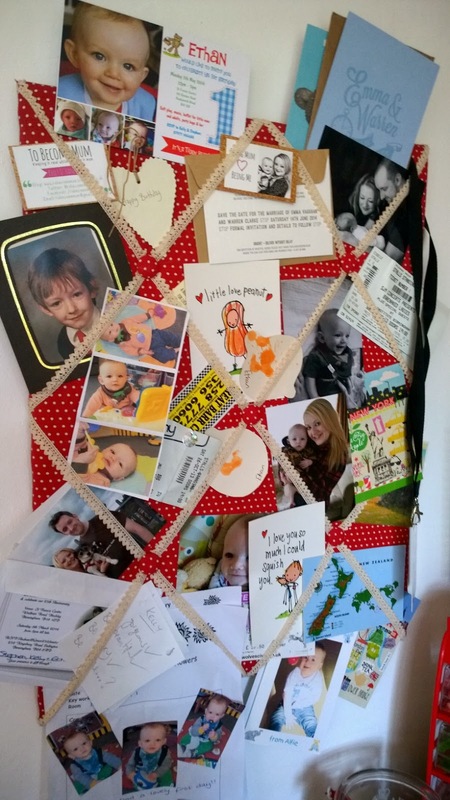 I have a pin board in the dining room, next to our welsh dresser, and it's here I display anything and everything that makes me smile. I have Ethan's day sheet from his first day at nursery, I have some of my favourite photos, a few concert tickets, thank you cards and of course, Ethan's masterpieces. 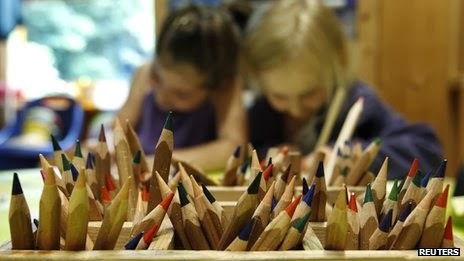 I love that at nursery, regardless of age, the children get to have some creative play. 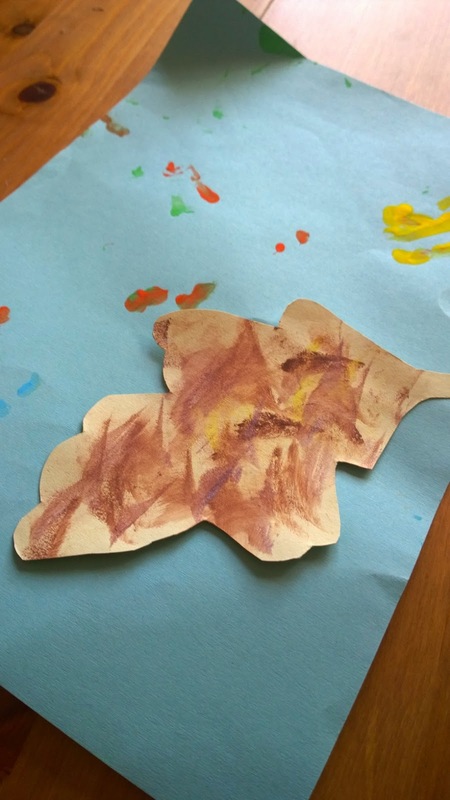 Be it sitting in flour, making pizza rolls or putting their fingers to paper and making a picture for Mummy to take home, Ethan has had so many new experiences. His first experience with paint was when he was just eight days old and we took some prints of his tiny feet. The finished canvas now hangs on the wall in his room as a reminder of how small he once was. His second was when we took him to Clay and Play and he painted a piece of pottery for us (well, we helped a bit!). On Friday, his nursery is having a special afternoon tea and craft session for Mother's Day which I am really looking forward to. I've seen a sneak peak of some homemade cards in progress and I can't wait to see Ethan getting a bit messy with paint to make me something I'll no doubt treasure forever, no matter what it is he paints for me. I loved drawing from an early age and went on to do art GSCE and A-Level but haven't touched a paint brush, aside from painting a few walls in the house, for a long time. It's something I'd like to encourage in Ethan and from the daffodils growing in our back garden this Spring to to the changing colour of the leaves on the trees in Autumn, I'm sure there'll be plenty of inspiration around us. I'm proud to be a Center Parcs Family Blogger and their latest blog challenge is to show off your painting skills. To be in with the chance of joining the blogging club, all you need to do this month is share a painting you and your children have made that's been inspired by the beauty of nature. Find out more here on how you can get involved. She says that we have a feeling of importance based on the success of our blogs and events we go to and yes, I have to agree, at least on my part. Who doesn't like to know that something they work very hard on is read and enjoyed by others? She says we demand respect. Yep, correct. I can see the humour in what she says but I feel that every women, whatever her choices, deserves respect and mummy bloggers are sharing their experiences, no-one else's. 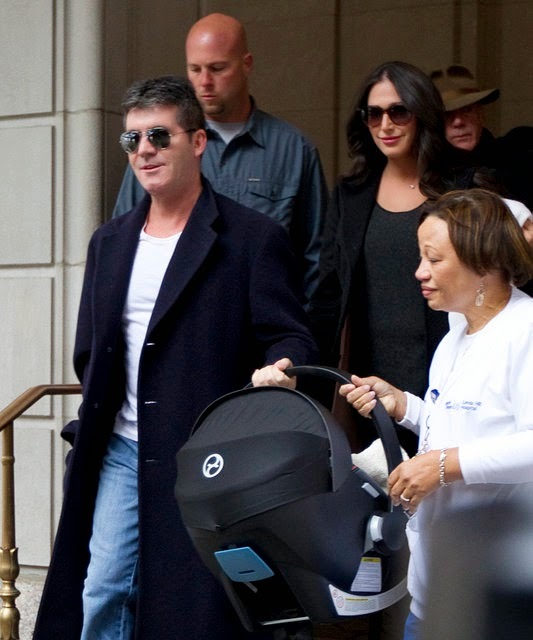 Other points she tries to make is that we overdo the mummyness. Er, guilty! If you write about being a mum then I'm pretty sure you're children will feature somewhere. That's the point. 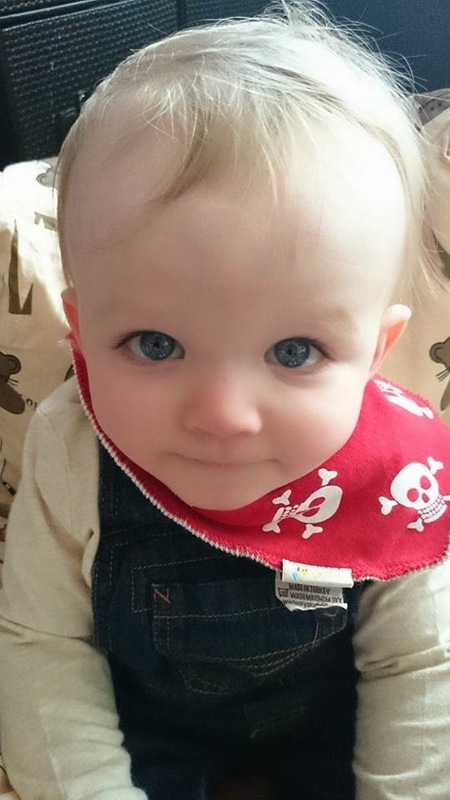 And again, if you read mummy blogs, you know what you're in for. She also says that we're fakes. 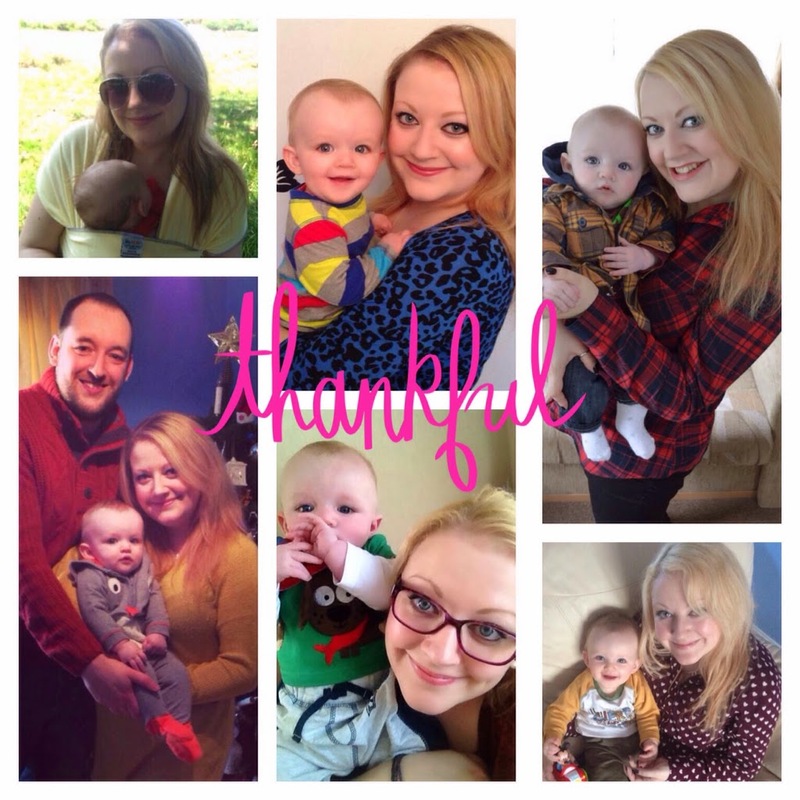 Again, I'm sure that some people may come across like everything in their life is A OK but the blogs I read and this very blog itself share the life of real mums. 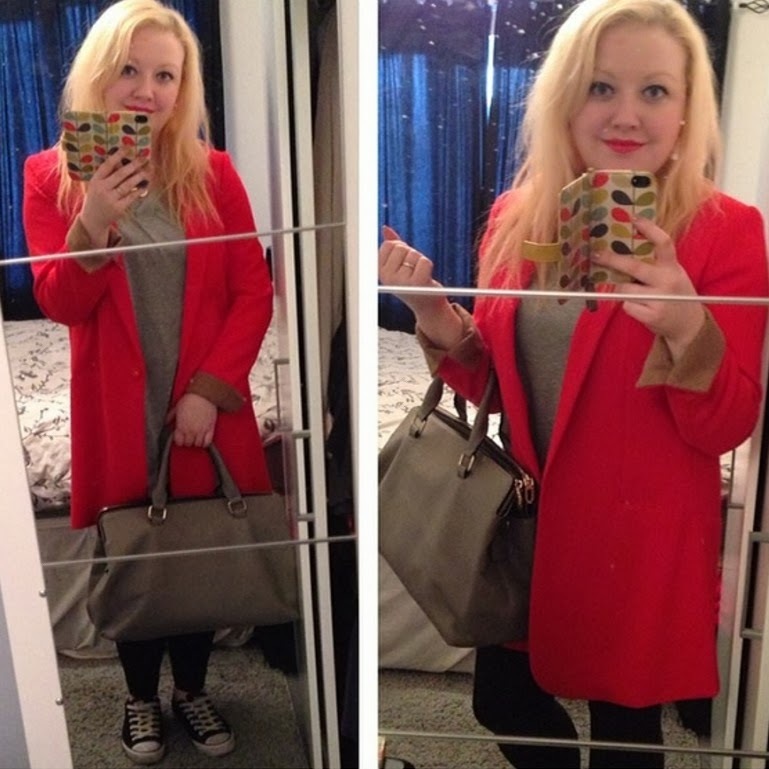 I don't pretend to 'fart rainbows' as this blogger says I think I do. I acknowledge the good times and the hard times because this is what my blog is about. Sharing my life and interests and hoping people enjoy reading and find something helpful, useful or reassuring now and again. She also ask what our talent is. Well. I'm not sure what hers is to be quite honest - being a snippy person who enjoys verbally bashing other people perhaps? My main issue with this post and the comments the people I know we're making about it on Facebook is the cynicism and downright judgement that too many women have about other women. To be a blogger of any kind is a very open and exposing thing to do. 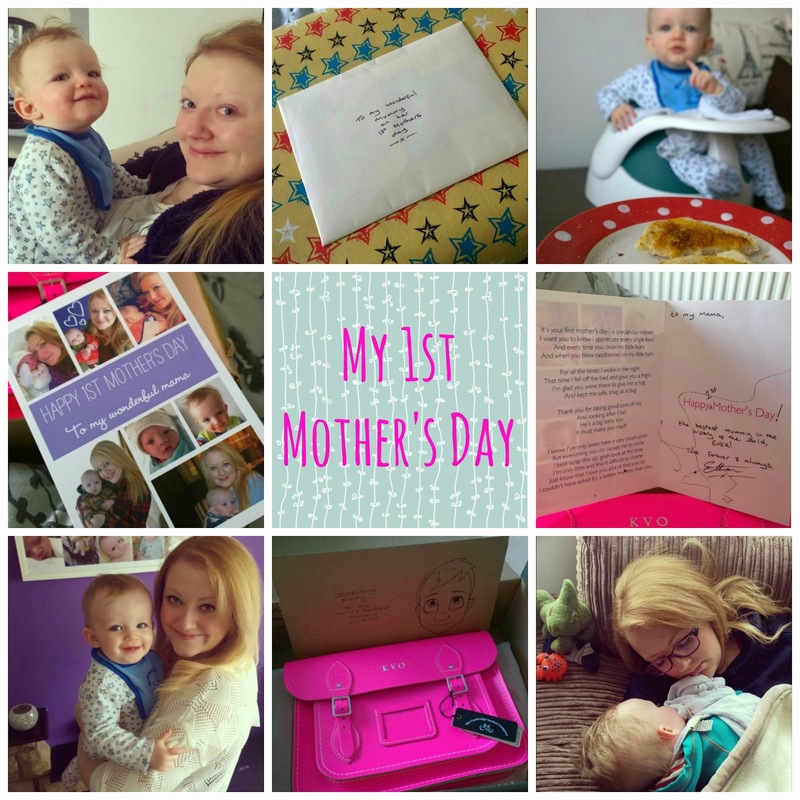 I do it because I get a great deal of support from the people I connect with and blogs I read and I too want to support other mums like me. And share cute photos and beauty tips and other bits and bobs that interest me. I don't even know who this blogger is but this post bothered me. I just hate that we can be our own worst enemies and rather than just accept what someone else does for what it is, even if it's not for you, we attack them. Poke fun. Pigeon hole everyone in the same category. I judge judgement. And I support mummy bloggers in all their guises as we do have something valuable to contribute. If you don't agree, then this blog isn't for you. 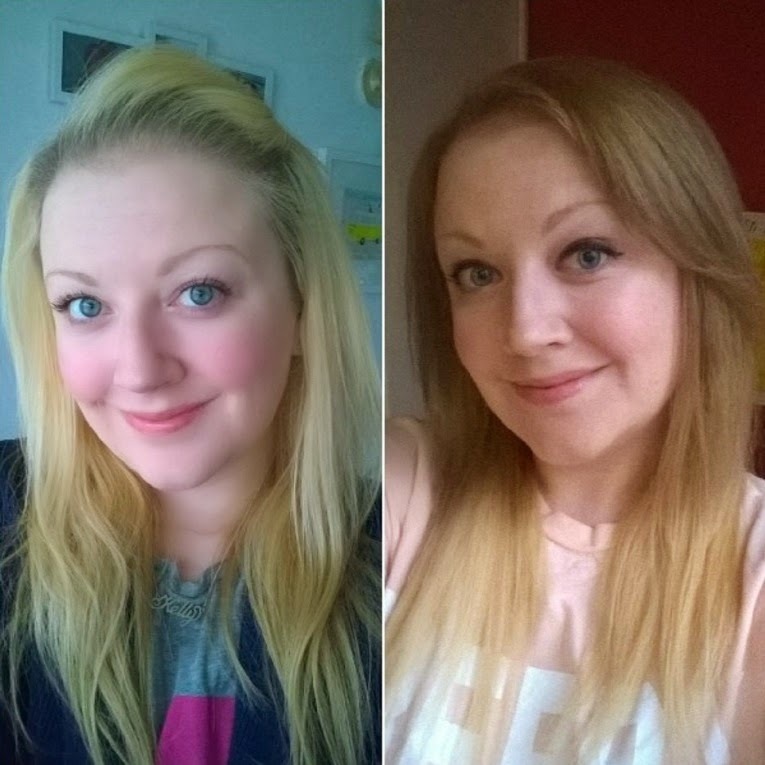 At the weekend, I decided it was time for a change. My blonde locks were going dark at the roots and I wasn't happy with the brassy, yellow tones that seemed to be coming through. Whilst I've changed my hair countless times over the past 14 years (take a walk through my hair history here), blonde has always been my default shade but recently, it hasn't been looked quite right to me. So, after a quick search on Google, I decided to opt for ombre. 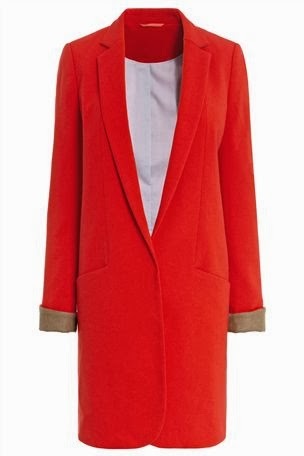 I know, I know - it's been around for ages now but it's a look I've always liked and one that seems to be quite low maintenance, which is just what I'm looking for right now. 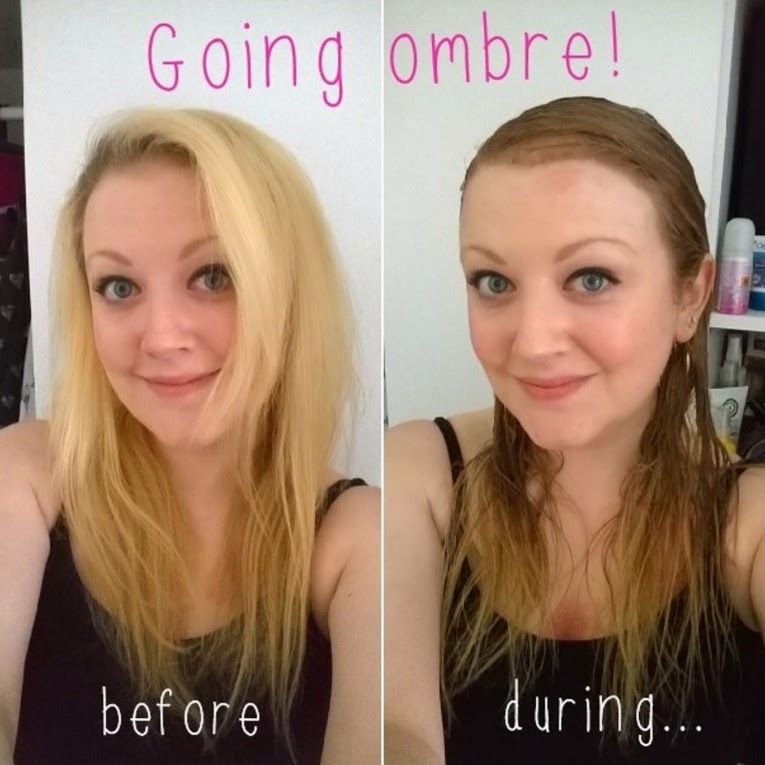 If it works for Drew Barrymore, than that's good enough for me - I love that woman! With Cheryl Cole's new 'do hitting the headlines last week, courtesy of L'Oreal, the ombre look can't be over just yet. But with light blonde locks, I wasn't sure how to go about achieving this look myself. 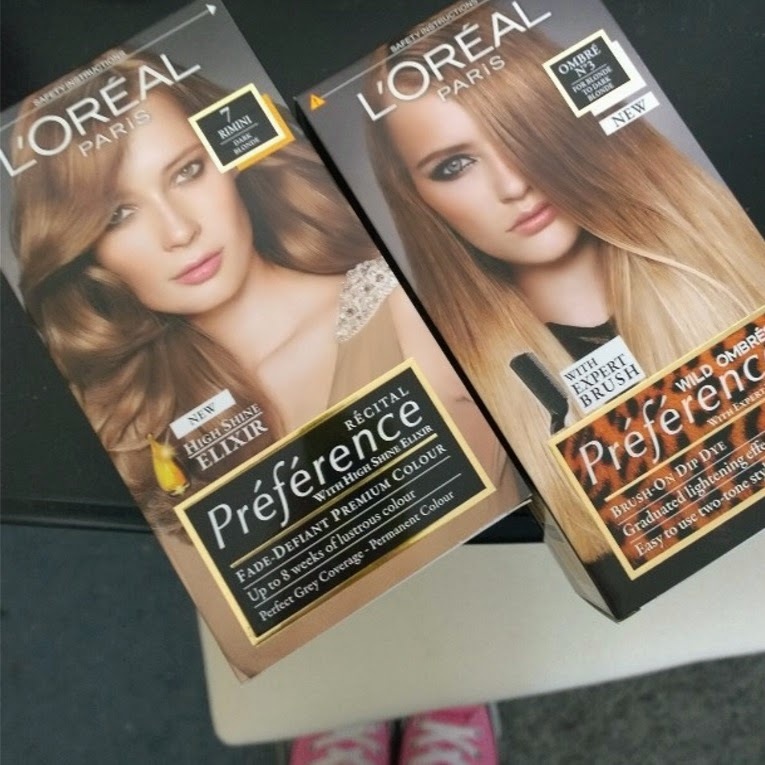 I popped to the shops and chose a dark blonde shade from L'Oreal called Rimini for the darker shade then selected L'Oreal Wild Ombre shade 3 for the lighter ends of my hair. 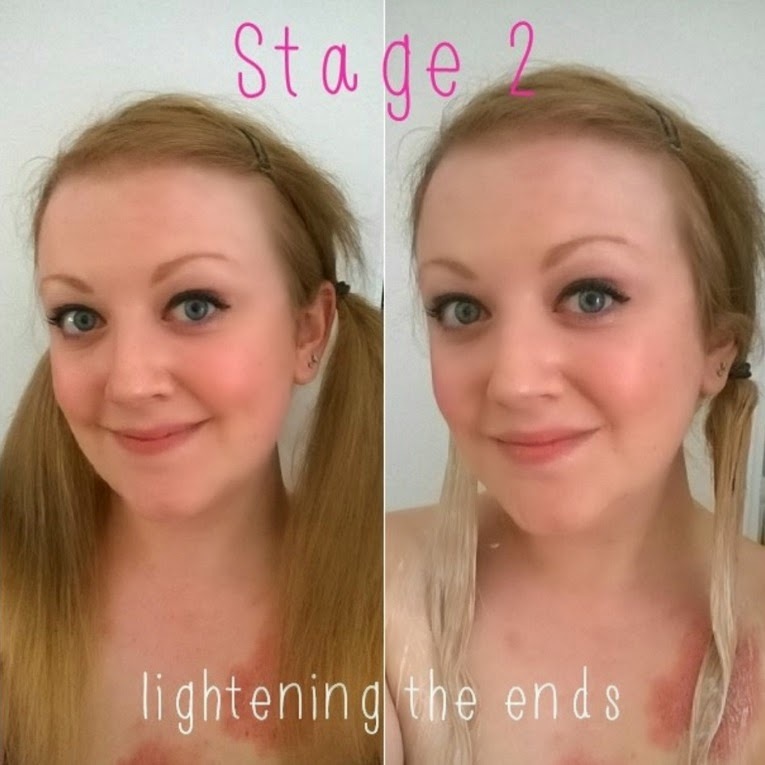 I prepared the dark blonde shade first then worked this through the top layers, focusing on my hairline and roots and then worked this through to the mid-lengths, leaving the ends dye-free. After washing out the dye after a development time of 25 minutes, and drying it quickly, I separated my hair into two bunches. Using the brush supplied with the ombre kit, I worked the dye through from the mid lengths downwards, concentrating more on the very ends of my hair. I then washed and dried my hair again after keeping an eye on the dye before washing it off after around 25 minutes. I was pleased with the result but I had started the fade to the lighter shade a little too high up for my liking, so I repeated the dark blonde shade on top and blended this into the lighter shade around my ear level so after 15 minutes, this had darkened. I then put a little more of the ombre lightener on the ends of my hair to give it a little more lift. Here's the before and after - it's a shame I couldn't get a better 'after' photo but the daylight had faded and I couldn't quite capture the finished look. I'm pleased with the results though. It's a natural shade for me to have and I like the fact I still have blonde in my hair without it being to harsh. 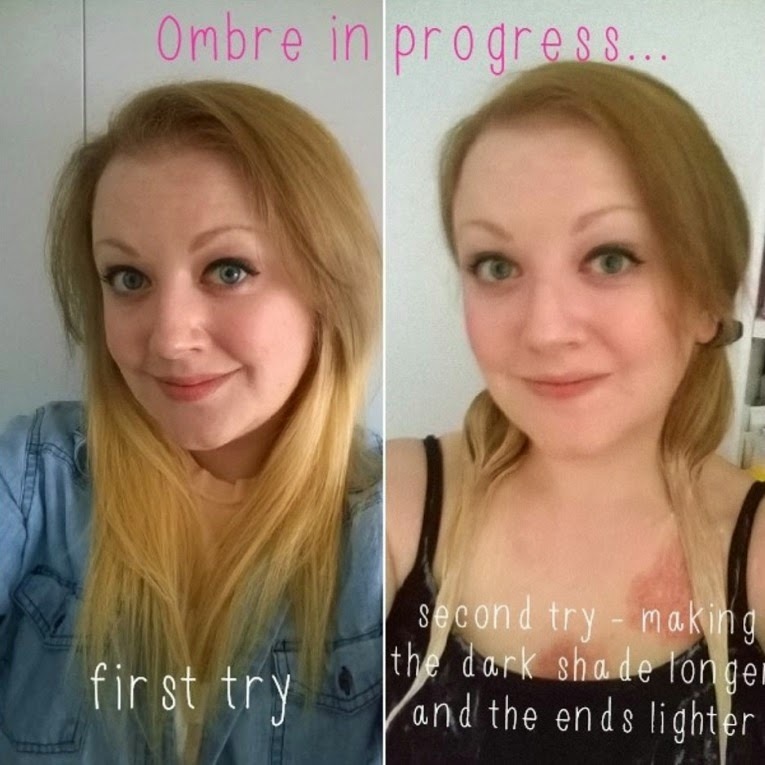 I think it will be easy to look after too and I'd definately recommend the ombre kit as it was easy to use and you could clearly see the colour lifting as the dye developed, so you knew when to stop when the shade you wanted was achieved. So, the MAD Award nominations have only just closed but a different set of nominations are now open for another awards ceremony which recognises the efforts of the humble parent blogger - the BiBs. From today, you can do your bit to recognise the brilliant blogs you read by nominating them for a BiB (Brilliance in Blogging) Award. 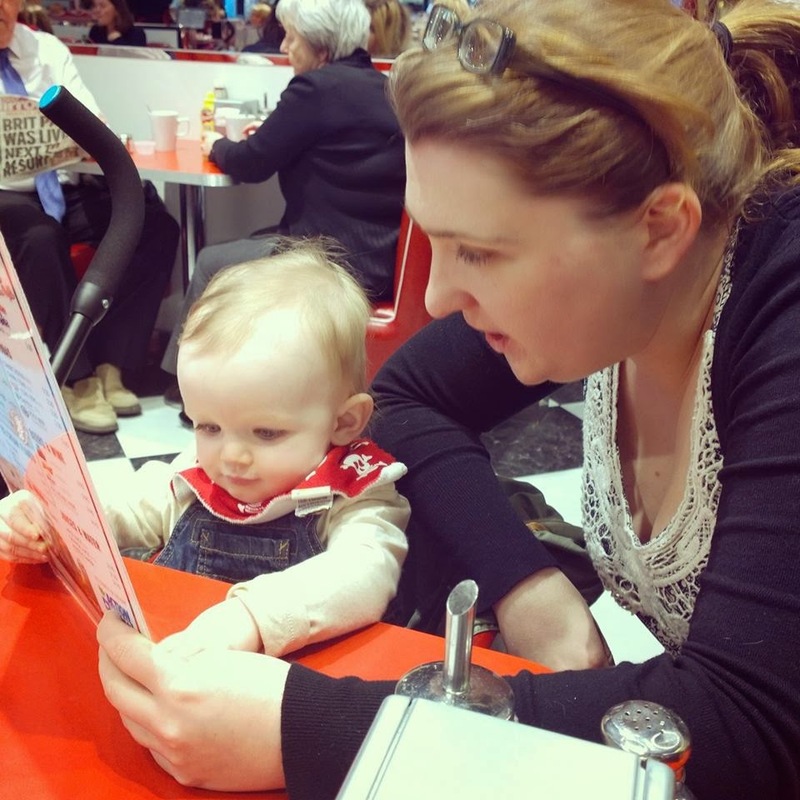 Hosted by BritMums and highly contested, with more than 200,000 nominations and votes cast last year alone, the BiBs do exactly what they say - celebrate brilliance in blogging. There are 16 categories in total for which bloggers can be nominated. 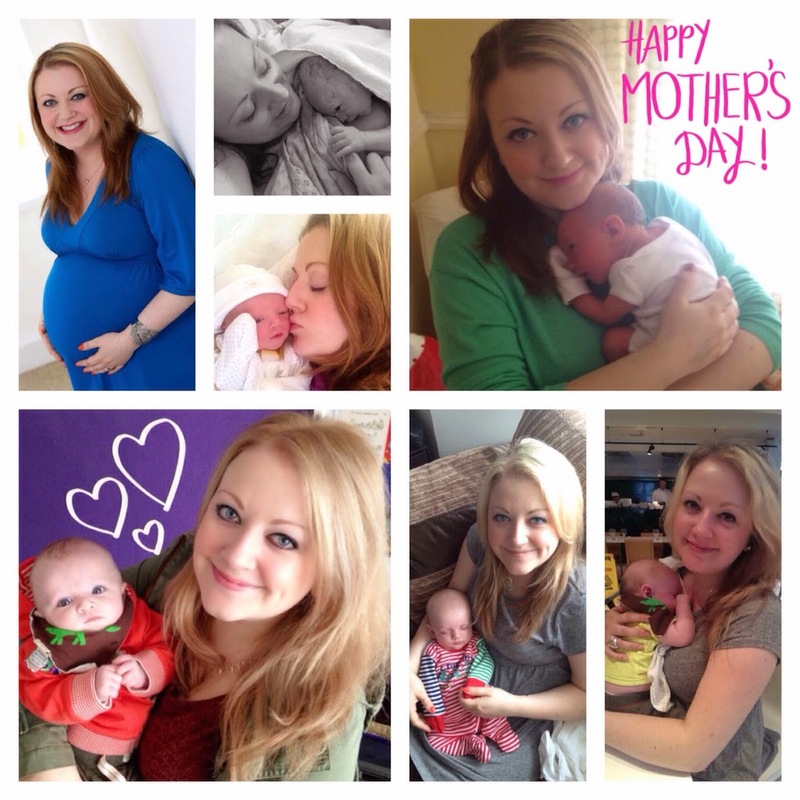 If you consider To Become Mum worthy of a nomination, you have until the 12th April to do so and I know that any blogger you decide to support will really appreciate it. I'd particularly like to be considered for the Fresh Voice, Inspire and Family categories, but I'll leave you to decide. Once the nominations close, 16 lucky bloggers are chosen - 11 from the public nominations and five from the BritMums team - and the shortlist will be announced on 29th April. 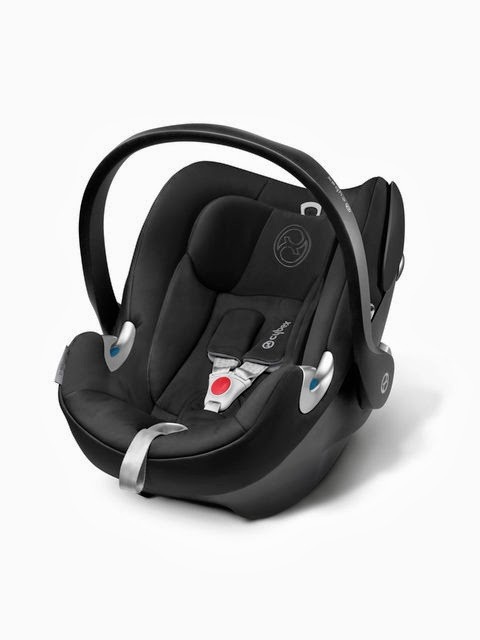 The voting then opens and you have until 16th May to vote for your winners, with the six finalists of each category are announced on 23rd May (four chosen with the most votes and two by BritMums). 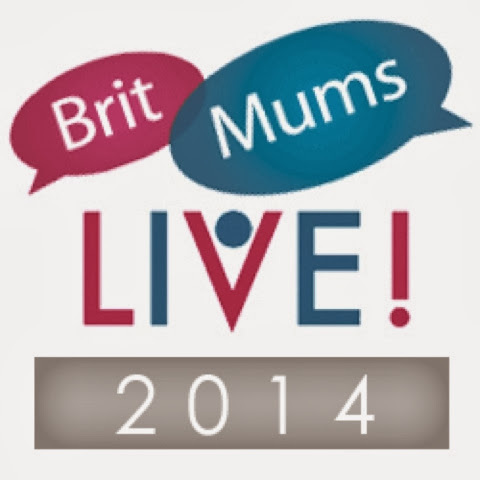 FINALLY, the overall winners of each category are announced at BritMums Live on 20th June. Phew! That's a lot to take in! But don't worry, all you need to do is a) nominate and b) vote. It's really hard to decide who to put forward for awards such as these as there are so many great blogs and lovely bloggers out there, and we all want to be good at what we do. Recognition of our efforts is amazing and if I were to be nominated for a BiB, I would be amazed and truly grateful. Find out more about the awards here - now go, make your nomination today! Spring has sprung and you'd certainly know it from how packed the park was at the weekend. Everyone was out and about with their families and it was so nice to see so many people enjoying the great outdoors. 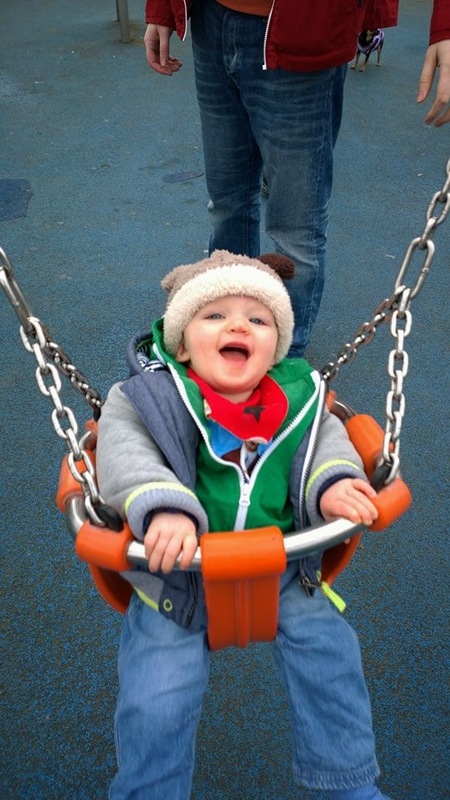 We needed a break from the house and wanted to take our pooch for a nice walk, so on Saturday morning, I headed to Asda to buy some snacks before we bundled up Ethan, Watson and ourselves for some park life fun. 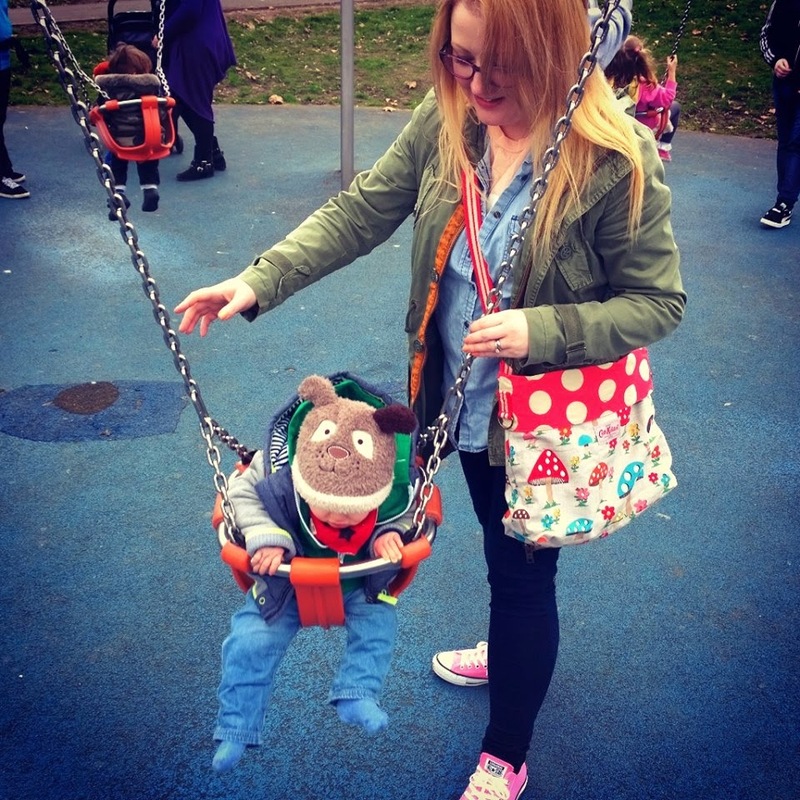 I took Ethan to the park quite a lot last summer as I was on maternity leave and wanted to make the most of the nice weather and I'm keen that as he gets older, we do lots of nice things as a family. I used to love day trips out to the farm, to see a castle, to wander around a museum or go for a walk along the beach. I want Ethan to experience lots of new things and to grow up appreciating nature and the simple things in life. We had a lovely day, the three of us and the dog, enjoying the fresh air and some relaxing time together as a family. Something about a little sunshine and the people you love can really do you the power of good. Ethan, you're 10 months old. 10 months! I've said it before but I'll say it again because it's true - every month, you change so much and your personality grows as you become your own person with your own mind. Over the past couple of weeks, you've learnt to shake your head and you find it hilarious when you do. You'll copy us if we shake out heads and now you have a cute little wiggle, where you wave your arms back and forth at your sides, whilst shaking your head really fast. It's so funny to watch! On the day of your 10 month birthday, the tip of your first tooth started to ever so slightly poke through your gum. Both your front teeth are on their way and they cause you a little discomfort but nothing too bad so far. You've even started brushing your teeth! Well, mummy brushes them for you, but you do seem to enjoy it. I think you think the toothpaste is food but you're very happy to let me give them a little brush with your turtle toothbrush. You've had some snuffles of late and a cough that has been lingering for a while. It's caused you to be sick a few times - mostly on mummy! - but you're still such a happy boy almost all of the time, no matter what. The past few days, you've started saying 'nannannanna'. 'Dadad' is still your favourite but you are starting to make more noises (no 'mama' yet - come on baby boy, you can do it! ), and we regularly chat with you as you sit there jibbering away. Another new thing you've started doing is eating your feet. Yep! You've always loved your feet and hate to wear socks, but this past week, you've started putting your feet in your mouth when you're sitting down, even bending over to try and nibble your toes. It's quite a silly sight! You're still loving nursery and everyone there thinks you're a little star, and of course, we have to agree. You're happy in the company of anyone and everyone you meet and you've been to see your Nanna and Gramps too this month. They hadn't seen you since just after Christmas so they were amazed at how much you had changed - particularly how much hair you have! We can't tell what hairstyle you're going to have but it's fun to play with it - we can sweep it over to one side or let it go all curly after a bath. You reach out for us now when we hold out our hands and it's not going to be long before you're on the move. After leaning for toys when you're playing on the floor and getting a few bumps along the way, you are so close to crawling. If we put you on your tummy, you can push yourself up with your arms so far now and you can pivot on the spot, reaching for a toy and turning around to see what's behind you. You just need to get your legs moving and they'll be no stopping you. 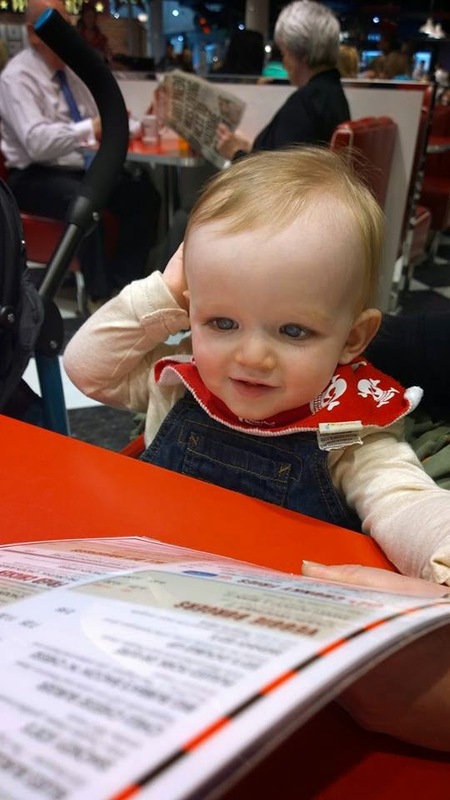 You're first birthday is just around the corner and mummy and daddy are busy planning your party. We know that you won't remember it but we will and we want to make some wonderful memories that we can share with you when you are older. Your first birthday happens to be a Bank Holiday so all of your family and friends are coming to celebrate, as well as some of your little friends too, whose parties you've been going to recently. 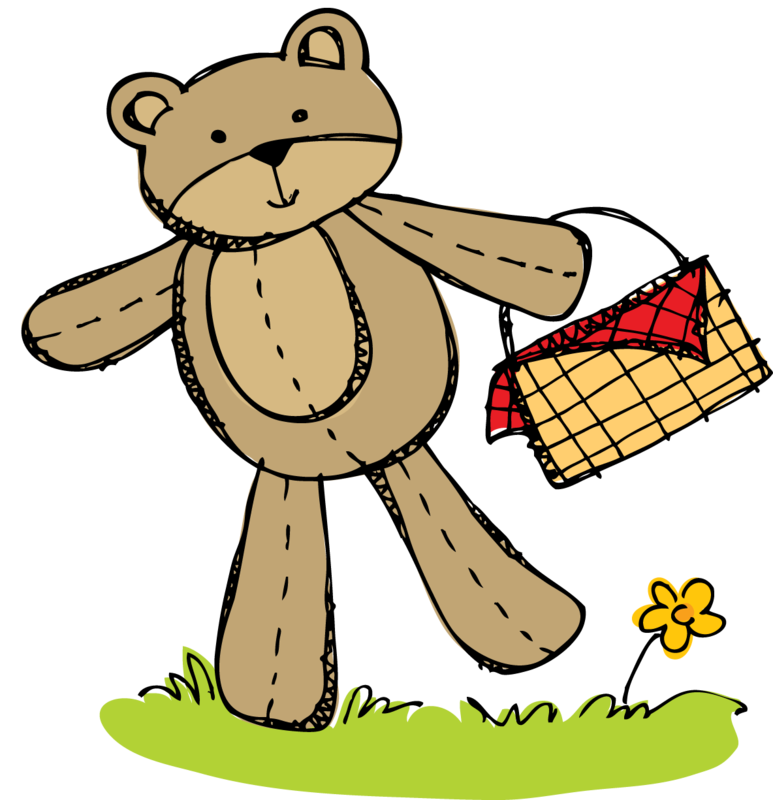 Your party is going to be a teddy bear's picnic, with a soft play area for your friends, some fun goody bags and of course, lots of teddies! Mummy is even thinking of making your first birthday cake! In a couple of weeks, it's Mother's Day and I can't wait. Last year, when you were little bean in my belly, you sent me some flowers and a teddy bear saying you couldn't wait to meet me. This year, you're here and I can't wait to spend this special day with you. I wrote recently about how things just keep getting better, and they do. Ethan, you are amazing and you make so many people so happy. Happy 10 month birthday our precious baby boy. We love you so, so much. Following on from the fun of the first #midsblogmeet on 22nd February, we've decided to host a couple more blogger events over the course of the rest of this year. We had such a great time organising the first meet up and met so many lovely bloggers face to face, we couldn't wait to do it again. As we've had such a great response from those who came and those who read our post event posts, we've decided to host themed events to cover off different blogging interests. 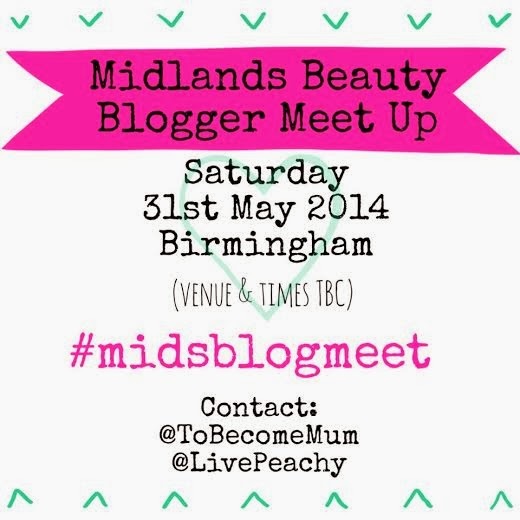 The first new meet up we're announcing is for beauty bloggers, or bloggers who love beauty (and who doesn't?!). We're going to be hosting this on Saturday 31st May in Birmingham, the heart of the Midlands and where I live, at a city centre location TBC shortly. We're thinking of running this as an afternoon session and with so many fabulous beauty brands and shops on our doorstep, we'll have a few different ideas to keep us entertained on the day. We're also giving everyone who attends the chance to bring along a beauty product they would like to recommend to others or something they themselves haven't used / do not want, so we can have a beauty swap shop on the day. One woman's unwanted body lotion is another woman's treasure! So, pop Saturday 31st May in your diary, email myself (tobecomemum@gmail.com) or Emma (missemmaberry@gmail.com) to add your name to the guest list and keep your eyes peeled for further details as we confirm the venue, start time and plan for the day in the very near future. I've written many times about my love of books and our growing library of classic children's tales and treasuries. I'm very nostalgic for the books of my childhood and I'm very fond of the classic characters, from Peter Rabbit to Winnie the Pooh. Another bear I've always had a soft spot for is Paddington. A couple of months ago I wrote about a special book Ethan was given which chronicles Paddington's love of marmalade and the bear in the blue duffel coat is sure to make an appearance at Ethan's first birthday party, which has a teddy bear's picnic theme. I'll be at my local cinema on 28th November for sure, marmalade sandwiches and all. Ever since I was a teenager, I've worn eyeshadow and since my uni days, this has been paired with a slick of black eyeliner. I really like my eyes but I need make up to define them and make them stand out - without it, I just don't look like 'me'. I've always leaned towards the smoky eye look, choosing whites, pearls, greys and, on occasion, blues to give my lids a base and add colour to my face. I have quite transparent lids so find shadow the best way to mask this and grey tones are my go-to look. However, I decided recently to try something different. For a long time now, I've read in magazines and have been advised by beauticians that brown eyeshadows are super complimentary to blue eyed gals such as myself, as the contrast in colour makes the eyes stand out even more. For me though, browns have never sat quite right on the few times I've experimented with them. I've always felt too pale to wear them. However, my recent beauty briefing with The Body Shop has helped spur me on to try something new. One of the ladies from the Nottingham store had fantastic brown shaded eye make up which really enhanced her blue eyes and so I decided to give them a go. Below is a step-by-step of my eye make up make over. I used a creamy, beige pearl shade from Soap and Glory, followed by Bronze Blitz which is a pearlescent shade across the lid and Coconuts About You for shading at the outer edge, both from The Body Shop. So, what do you think? It was quite a big change for me but I really like the shades I chose and I was quite taken with my new look. Depending on what I'm wearing, I've started to gravitate more towards the brown shades now during the day so I'm pleased that I gave my look a little shake up. Last June, my Twitter feed was full to the brim with excitable tweets from all those bloggers attending the BritMums Live two day conference. From the inspirational guest speakers and fab lifestyle and parenting brands to the practical sessions and of course, getting to meet the people behind the blogs you read, face to face, it looked like an awful lot of fun. But as Ethan was only five weeks old at the time, and my blog as you see it here today was just as much in its infancy, it wasn't something I could attend. My love of blogging fully ignited and things took off quickly thereafter and ever since, I've been looking forward to the 2014 event. It looks like such a fun weekend and so beneficial too, I wanted to make sure it was a date in my diary. And luckily for me, I have found a great sponsor who I am very pleased to be working with and representing at BritMums Live 2014 - meet Udo's Choice. I first heard about Udo's Choice from a great lifestyle blog a friend of mine is co-founder of - www.iamintothis.com - within a natural health and beauty supplement post. As you'll no doubt be aware, I've been looking for any and every way to help soothe the psoriasis that's developed quite severely all over my body since I became pregnant with Ethan. I'm also really interested in natural products and I'm always keen to find new ways to give my diet and skincare a boost. So when I read about Udo's Choice and their celebrity favourite Ultimate Oil Blend, I wanted to know more. It's a daily supplement packed full of Essential Fatty Acids which you add to your food to help give you the boost you need on the inside for healthy skin, hair and nails. Sounds great, right? Well, Udo’s Choice Ultimate Oil Blend is regarded as a beauty ‘secret’ of many celebrities like Jemma Kidd, Yasmin LeBon, Elle MacPhearson and Sophie Dahl. Jemma has been noted as saying: “Since using Ultimate Oil Blend my concealer has virtually been made redundant. Now I use make up to enhance my features, not mask them.” What more could you want?! Now for the technical bit. This unique blend contains omega 3 and 6 and the essential fatty acid 9 with a ratio of 2:1:1. It is made from natural, organic flaxseed, sunflower seed, sesame seed and coconut oil, as well as plant extracts to help keep skin moisturised and healthy. The Essential Fatty Acids in Ultimate Oil Blend are required by the skin’s cells to help them retain moisture and prevent inflammation. Ensuring you have enough Essential Fatty Acids in your diet will give a glow to your skin, lustre to your hair and strength to your nails, according to Udo Erasmus, a world renowned expert on omega oils and author of the book Fats that Heal and Fats that Kill. All of this was music to my ears and when I started googling for more information, I was seriously impressed by the positive reviews. I spoke to the Udo's Choice team and within a couple of days, I had begun using the Ultimate Blend Oil. I've used this for almost two weeks now and I will be sharing my thoughts after I have completed the six week challenge, in order for it to have had time to make a real difference. I've been enjoying using this oil and it's very easy to add into your daily routine - I drizzle it over my lunch time salad or stir a little into my pasta or noddles in the evening. Simple! 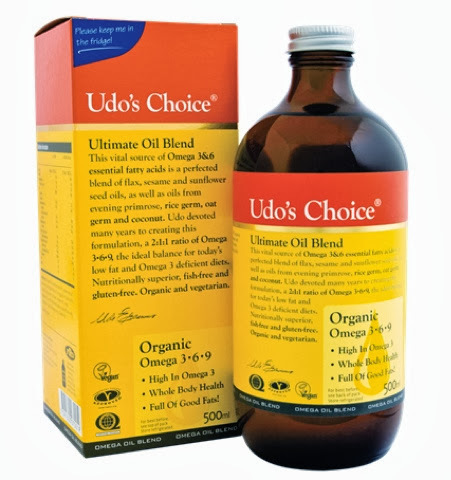 In addition to trying this super oil, Udo's Choice will be my sponsor at BritMums Live so I will be working with them on a few things over the next few months and will be able to talk to other bloggers interested in natural health supplements when I attend the event. 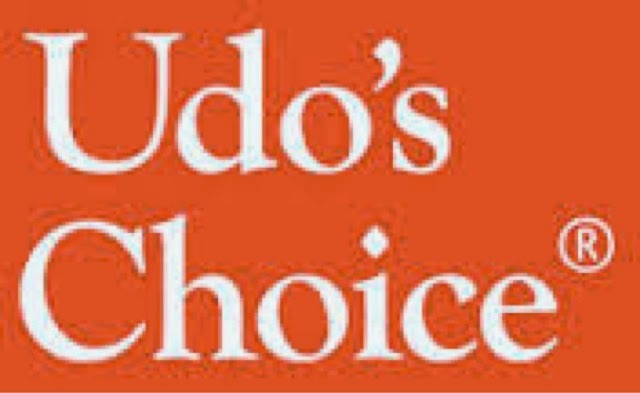 I am very grateful to Udo's Choice for supporting me and the more I read about their products, the more interested and excited I become. Udo’s Choice also have the Ultimate Digestive Enzyme Blend in their range, which is a blend of seven active plant-based enzymes that are said assist the breakdown of proteins, fats, carbohydrates, soluble fibre, starch, milk sugar and complex sugars. Many enzyme products on the market contain enzymes derived from animal organs which only work in a narrow ph range and are typically only capable of digesting protein or fat. However, Udo’s Choice Enzymes have a wide ph spectrum allowing them to function throughout the entire digestive tract. Along with protease, formulated to be active in the stomach, bromelain, which prefers the small intestine, has been added providing a superior formula for digestive health. The enzymes are designed to be taken before heavy meals to breakdown foods quicker and prompts digestion. There's also a range of Udo's Choice Microbiotics which provide good bacteria for the gut, with a different type suited to each member of the family, from newborns to grandparents. I'm really interested in this and will be sharing more on this topic soon. Watch this space to find out more about my six week Ultimate Blend Oil challenge - beautiful, healthy skin, hair and nails, here I come! Does anyone else feel like their brain isn't the same as it was BB (before baby)? I used to have a really good, reliable memory. I could recall dates and names, remember tiny, insignificant details like what I wore or what I ate somewhere, even if the occasion in question was years and years ago. I used to be able to do more than one thing at a time without losing my train of thought or getting distracted by something else. Now, since having Ethan, my brain has turned to mush - at least, that's how it feels sometimes. It may just be the lack of sleep / broken sleep or juggling being a mum and being a professional, and on the rare occasion, being me, but I do find myself struggling sometimes. I might be talking and I just lose direction half way through and can't think of the point I was going to make. Sometimes words just fail me altogether; I know what I want to say but I can't think of the word or string a sentence together to say what I mean. It's nothing major but it's quite unsettling and I don't know how to make things better. I've always been an organised person and my stationary addiction means that I have diaries, planners, to do lists and post it notes so if I have a thought or need to remember something, I can jot it down. It's just sometimes I can't tell which way is up, which day something happened on, who I spoke to about what and when. It's just too much for my mama brain to cope with. Being a mum means you have to multitask, juggling household chores with work whilst meeting the needs and demands of your child. When I do have some me time, I'm too frazzled to do very much at all. I dip in and out of Twitter and Facebook every few minutes, I blog, I watch old TV programmes because my attention span is so short that I need something easy to follow that doesn't require much brain power. I've had to watch a few episodes of the new series of Modern Family and How I Met Your Mother again as I couldn't remember what had happened, even though I'd only seen it the day before. I'd like to read again. I've always loved books, reading a book a night when I was in my teens, but I can't remember the last book I read. I tried to read And The Mountains Echoed by the author of The Kite Runner, but I just couldn't follow the story as I would pick up the book and forget everything I'd read before. Time is a precious thing as a mum and it's important to make time for yourself and your other half too - remember, you were a couple once! There's just too many things to remember and do when your little one gives you spare time, not least of which is sleep, so I guess it's no wonder our brains turn a bit mushy after a while. Do you feel this way? How do you try to make time for yourself? Have you got any memory boosting tips or techniques?! The cost for childcare is a much talked about, often heated debate that's never far from the headlines and it's been in the news again this week. The Family and Childcare Trust has issued its annual report and has found that many parents pay more for childcare each year than the average British mortgage bill. I'm sorry, but was that headline supposed to shock us? If you have a child and you need to work, the options available, and the associated costs, aren't a mystery to you. Every penny of your monthly income is accounted for and childcare is a huge percentage of most family's outgoings. Some mums are fortunate to have family who live close by and who can help provide childcare whilst they go to work. This is a great resource if you have it, but comes with its own considerations and complications, with many family members providing this support free of charge due to circumstance. However, if you have to work and you don't have a support network in place, you need to rely on a childminder or a nursery and neither option is cheap when you look at the grand total. But to be fair, you need to think about how much this annual childcare figure works out on a monthly, weekly and daily basis, and understand what's included that can be given a monetary figure (nappies, wipes, food and milk throughout the day), and that which can't be costed in financial terms (education, entertainment and care for a child you are responsible for). The Family and Childcare Trust's report says that the average family with one child in part-time nursery and another in an after-school club incurs £7,549 in fees per year. Full-time childcare costs for a family with a two year old and a five year old come to an estimated total of £11,700 per year. These costs represent a rise of an incredible 27% in just five years, whilst the average wage has remained relatively unchanged during this time. For us, we have Ethan in for four full days per week and our childcare bill comes to just over £800. And yes, this is bigger than our mortgage, by quite some way. And yes, this has a big impact on our family finances. But it's money well spent. Unfortunately we do not have the choice when it comes to work - we both need to bring home the bacon in order to cover our bills and do what we need to do. In an ideal world. things would be different, but I do the best I can to focus on the positives. Hubs and I both have our own careers and independence. Ethan has the best of both worlds - three days with me, enjoying quality family time, and four days at nursery learning new things and developing so fast. When you break down the cost of childcare, it actually makes you feel a lot better. For just under £50 a day, Ethan is looked after for an average of 10 hours, has two milk feeds, three meals which are freshly made and nutritionally balanced (two of which come with dessert! 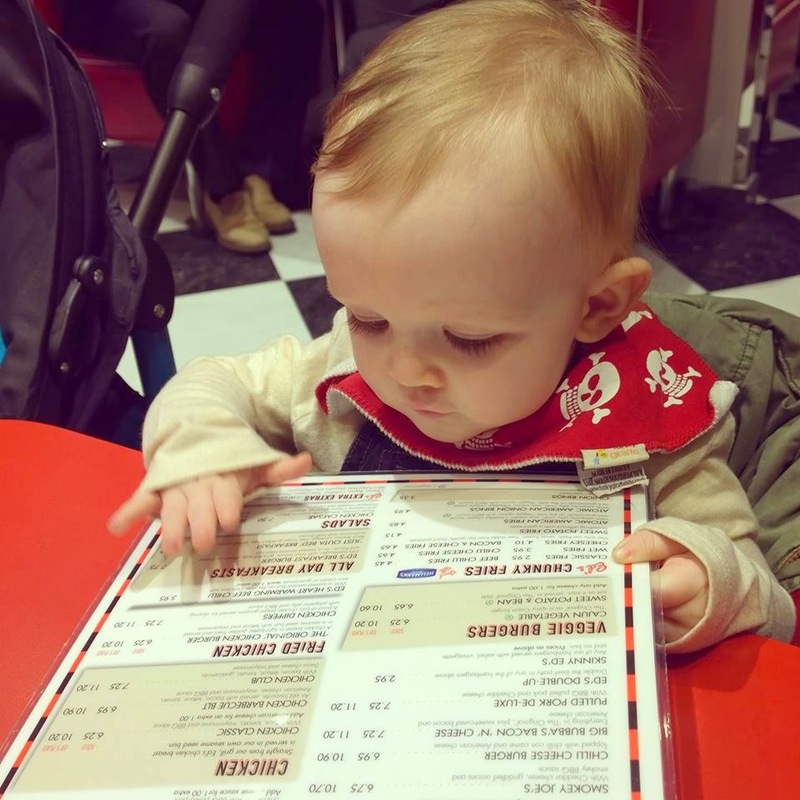 ), nappies, wipes and cream are included, then add in the non-stop playing, learning, cuddling and sleeping whilst being looked after by a friendly team who treat him as one of their own. That's such a lot to provide and I can see the savings in my weekly shop as four days a week, I don't need to give him more than a bottle of milk and a couple of nappy changes. This isn't even taking into account the wages of the nursery staff who, when you do this calculation, can't be earning very much at all. But it is what it is. When you are leaving the most precious thing in the world to you in someone else's care, no figure sounds quite right. It's hard for me to leave him at nursery each morning but seeing how happy he is and the warm welcome he receives makes it so much easier. I'm in the position where I need to work and that by doing so, I'm not just working to cover my childcare costs, but I know that for many people, it just doesn't pay to go back to work so I fully agree more support needs to be given to parents who are struggling to work and do the best they can for their children. Childcare is such a big proportion of my monthly salary but it is an investment. An investment in Ethan, his development and our future. Read more on the Family and Childcare Trust's report here. 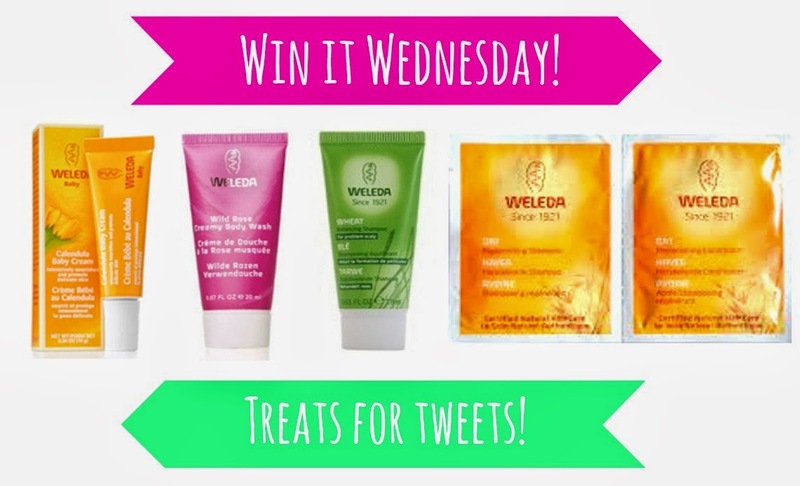 Win Weleda treats - just like my Facebook page or RT my tweets! I'm giving away some beauty treats today to three lucky people who like my Facebook page, follow me on Bloglovin or retweet my tweets about this competition. I will take a look at who has taken part at the end of the day and will pick three lucky people at random. As you probably already know, I'm a big fan of Weleda - I first tried their calendula baby face cream and since then, I've come to rely on their teething granules and have worked with them to put together some fantastic goody bags for #midsblogmeet. Just let me know when if followed me, either via Twitter or by commenting on this post. Weleda has kindly provided these samples whilst postage will come out of my own pocket. This is just a bit of fun and a way for me to say thank you for reading my blog - good luck! With hubs being away three nights a week and Ethan in a bit of a fussy stage at night-time, I really have struggled to find time for myself. As soon as Ethan is finally in bed, after several attempts, the best part of the evening is over and with an early start the next morning, I need to get some shut-eye where I can. So, my 'me time' has dwindled to next to nothing and my skin care regime is sporadic at best. I'm good in the mornings but at night time, I've just let things slip. I keep saying it, but I really need to clean up my act and following an exclusive briefing with The Body Shop at #midsblogmeet, I am now armed with some new products and tools of the trade that will hopefully give me the boost I need and help me achieve beautiful skin, no matter how many zzz's I've caught. First up, the new Camomile Sumptuous Cleansing Butter (RRP: £12). Now doesn't that sound divine? It claims to leave your skin as soft as a petal and having put this to the test, I can honestly say that it does. It's like a giant tub of lip balm, and all you need to do is rub your fingers over the top of the butter to get some of the product, before applying this to your dry, uncleansed skin in soft, circular movements. want to scare you with my make up free face! It's similar to coconut oil in that you don't need a lot and it easily melts into your skin. It's a really nice experience as the butter is so soft and soothing, and you just wipe it away with a warm muslin cloth or a splash of water. My skin felt super clean and soft to the touch, with no irritation or redness and certainly no signs of make up left. Love, love, love this - it's my new favourite cleanser and I'm sure it's going to last me a long, long time. As another part of my cleansing routine, I'm planning on using this Vitamin C microdermabrasion wash (RRP: £13), pictured top right, twice a week. I've had this for a while and I can really feel the difference when I use it. The grains are really small so it doesn't feel harsh, but is still effective and I swear, after using the skin reviver (RRP: £14), my face was left with a healthy glow. I have been a big fan of muslin cleansing cloths (RRP: £2.50) for a long while now so this is another staple of my skincare routine. The facial brush (RRP: £4) pictured above is great for when your skin needs a really good clean and for getting those scrubs into every pore, buffing away any nasty impurities or dead skin cells. It's also supposed to be good for boosting radiance and whilst I'd recommend using is very gently or for a short period of time if you have sensitive skin, it does the trick - it boosts blood flow to the skin surface and your face is left feeling clean and smooth. The last tool pictured above is something I've never tried before but The Body Shop team recommended it for making the most of my moisturier. This mini facial massager (RRP: £6) gives a gentle but effective deep massage of your face and helps to make sure all your serums and moisturieser are fully absorbed. You simply roll it up and down your face in a vertical direction for a few minutes and voila - radiant skin! I am going to add this to my nightly routine so even if I am in bed at 9pm watching Netflix on my ipad, I'm still giving myself a treat! I couldn't resist popping into the Cath Kidston shop in Nottingham after the #midsblogmeet last week - the concession we have in Birmingham's Selfridge's just isn't big enough for my liking! 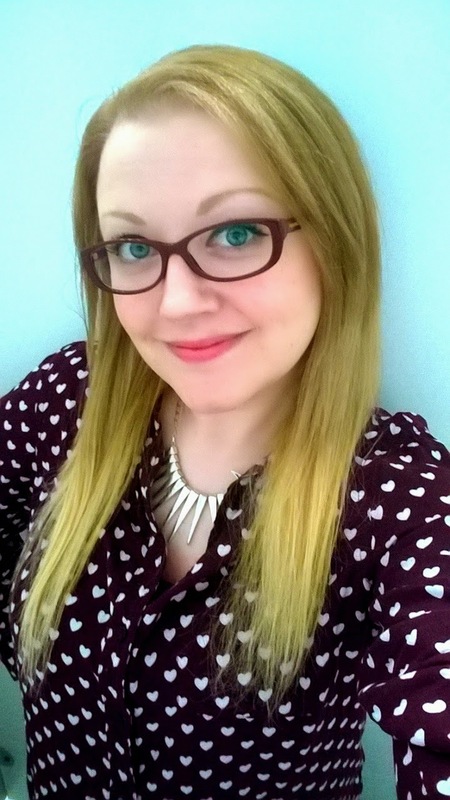 Having visited the shop before in January when I went to the #ccbloggers meet, I was keen to go back and I got to speak to some of the team again about all things Cath. One of the latest prints for 2014 is Brighten Up Your Day - a seaside inspired, hand-drawn pattern of, well, Brighton, plus colourful flowers in the signature spring colours (pictured above). 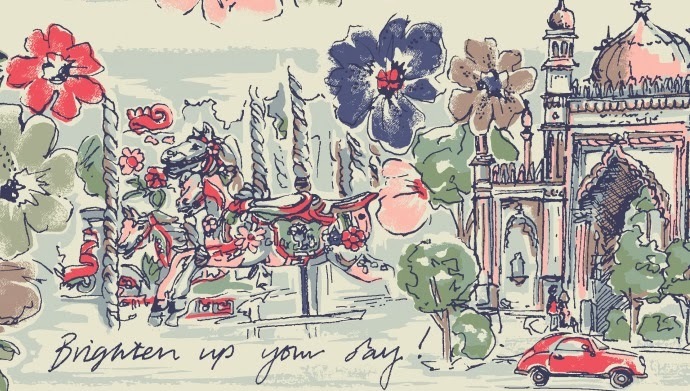 It's a beautiful design and has obviously been well received as Cath Kidston is running a competition for someone, their local CK store and town to win a bespoke piece of artwork from the talented lady herself. To nominate your town, you have to show Cath Kidston why your town should win and the favourite entry will be made into a unique handmade blanket - one for you and one for your town's local store. Nominations can be made here and the deadline for entries to be submitted is 9th March 2014, so you have just this week kleft to talk up your town. So, who deserves this special design accolade? Having lived in Birmingham for nearly 12 years, I personally have to vouch for the city that is my home - I'd love to see how Cath would turn the Floozy in the Jacuzzi, Rotunda and Bullring into a work of art worthy of her vintage twist. Tell me where you would nominate and why - I wonder which town will win?